On 24th August 2006, Government announced it would further increase the Army beyond that identified in the Hardened and Networked Army initiative delivered on 16th December 2005. This transition to the Enhanced Land Force - Plan STAN - incorporates Army force re-structuring as well as a series of new initiatives. As part of the Hardened and Networked Army and Enhanced Land Force initiatives, Army has sought to grow two Infantry Battalions and additional supporting elements. 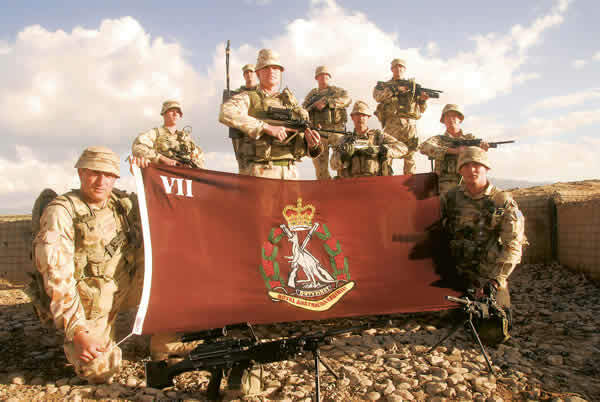 One of these units, the 1st Brigade's own 7th Battalion, Royal Australian Regiment (7 RAR), has been identified to move to Adelaide along with sub-units from my Headquarters (HQ 1 Bde), the 8th / 12th Medium Regiment (8/12 Mdm Regt), 1st Combat Engineer Regiment (1 CER) and 1st Combat Service Support Battalion (1 CSSB). Click here to read more. 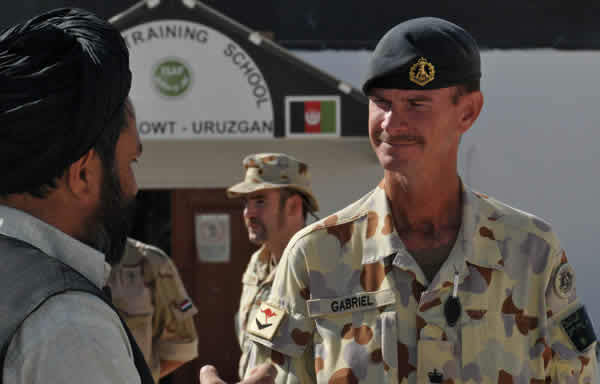 handover takeover parade in Tarin Kowt, Afghanistan. 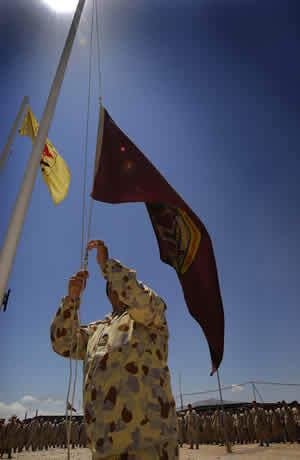 1st Mentoring and Reconstruction Task Force Regimental Sergeant Major, Warrant Officer Class One David Allen lowers the 7th Battalion, the Royal Australian Regiment Flag during the handover takeover parade in Tarin Kowt, Afghanistan. More than 1000 Darwin based soldiers from the Army’s 1st Brigade have marched through the centre of the Northern Territory capital to recognise the troops’ service in Afghanistan, Timor Leste and Iraq. Thousands of Territorians lined the streets to watch as the soldiers, led by two ABRAMS Tanks, paraded through the city centre. The parade featured a riderless horse, in memory of Corporal Mathew Hopkins who was killed during a fire-fight with insurgents in Afghanistan on 16 March this year. The Minister for Defence Personnel, Materiel and Science, Greg Combet, told the soldiers that the entire nation was proud of what they have achieved. Mr Combet said the parade was an important occasion for the soldiers taking part because it allowed them see how much their service was valued by the people of Darwin, the Territory and wider Australia. "The parade is also an opportunity to record appreciation for all of the soldiers’ families, and the difficulties they face while their loved ones are deployed," said Mr Combet. 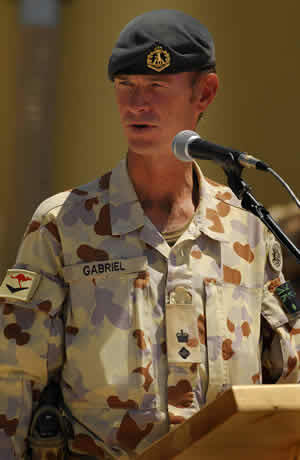 The Chief of Army, Lieutenant General Ken Gillespie thanked the people of Darwin, the Northern Territory and Australia as a whole for their support. "In the past, many soldiers returning from conflicts such as Vietnam did not get the public recognition they deserved. 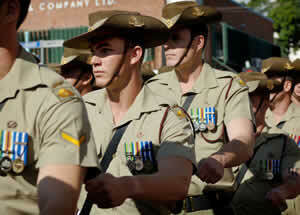 The Army, the people of the Northern Territory and Australians generally are determined that this generation of soldiers know how much their service matters," said Lieutenant General Ken Gillespie. 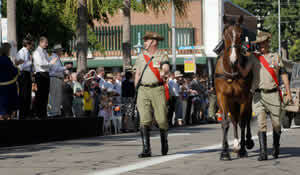 The presence of the riderless horse recognised those soldiers that had been killed in action. “Corporal Mathew Hopkins died leading his soldiers in war, and we are deeply grateful for the sacrifice he made for this nation” LTGEN Gillespie said.